60 years of marriage certainly does deserve a great celebration! 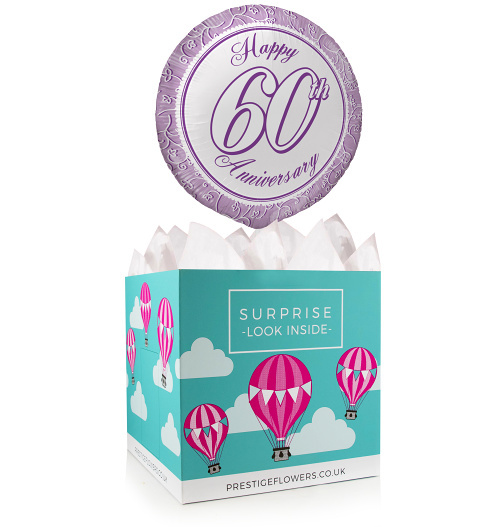 We have chosen a lovely 18-inch helium balloon and gift box lined with tissue paper for this occasion. Browse through our optional extras like cake, wine, chocolates, and cuddly bears to make this gift complete. We will also include your personal message.